Wizboyy celebrates the good life that globalisation and god seem to have promised. His songs like ‘Salambala’ are a must on any West African party. The video shows Wizboyy sitting in the living room of a luxurious villa getting pedicure treatments and a massage by beautiful ladies while some of them are counting piles of cash in the kitchen. Later his friend and Igbo rapper Phyno shows up and joins them for their dinner at a bountiful table full of fruits, chicken & champagne. Wizboyy grew up in Delta State and was a successful singer in church choirs and learned various instruments before he moved to Enugu where he started to produce pop music and founded No Tyme Records, a music label he runs with his partner Slim Brown. People all over West Africa and its diaspora know through his songs that ‘1 + 1′ = 1 or that ‘Lovinjitis’ is a disease you suffer when your beloved one is far away. Wizboyy is also known for melting highlife melodies with contemporary Nigerian pop. 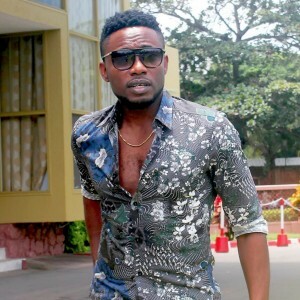 ‘Wizolingo’ and ‘Fine Baby’ are few examples of his ture Naija party classics.